If you’ve been using the Apple ecosystem for a while, you probably know the difference between green and blue bubbles in Messages. Green bubbles are, of course, SMS text messages. Blue bubbles indicate Apple’s proprietary iMessages. Generally, these work as expected — with the latter of the two being used when communicating with other Apple device owners. 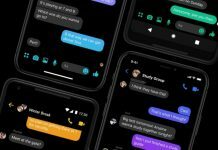 But some users report problems getting their Apple Watch Series 4 models to actually send or receive iMessages instead of SMS. These users say that their new devices are “stuck” sending and receiving green bubbles, even when sending them to Apple device owners. It can be especially annoying when iMessages on a connected iPhone appear to work just fine. 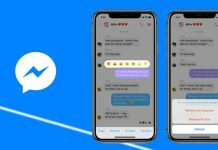 And because iMessages have a number of benefits over SMS, it can cause issues with contacting friends and family without a cellular connection. This does not appear to be a new issue, as some users have reported having it on the Apple Watch Series 3 and watchOS 4 as well. And it isn’t clear what’s causing the bug for some people. In any case, it seems pretty simple to fix with a number of crowdsourced methods across Reddit and the Apple Support Community. We recommend that you try all three of these methods and see if that nips the problem in the bud. Many reports indicate that going to Settings > Messages and toggling iMessage off and on again a few times will fix the problem. Some users report having to sign out and sign back into iMessage on their iPhones. You can do that by going to Settings > Messages > Send & Receive. Tap on the Apple ID at the top and then Sign Out. Then, sign back in. Other users report that completely un-pairing and re-pairing their Apple Watch from their connected iPhone will also alleviate the problem. If the above methods don’t work, there may be an underlying hardware or software issue with your Apple Watch Series 4. If that’s the case, a full restore might be in order. If all else fails, it might be a good idea to contact Apple Support or set up an appointment at your nearest Genius Bar.